Manufacturer & Exporter of Steel Tubes & Carbon Steel Tubes. Our product range also comprises of Steel Sheet and Plate, Stainless Steel Sheet and Steel Coil. Our valued clients can avail from us sturdily constructed Carbon Steel Tubes. 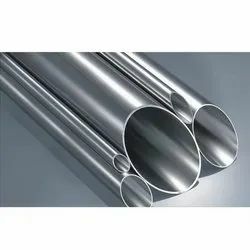 Made of high-grade basic material, these tubes are widely used in many industries to carry water, gases and other liquids. Longer service life, efficient performance and resistance against corrosion are the prominent attributes of these tubes. Looking for Steel Tubes ?